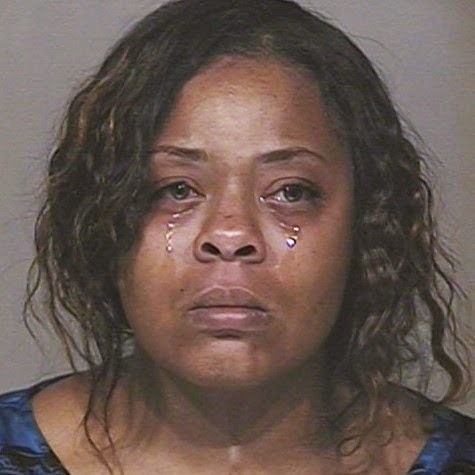 When single mom Shanesha Taylor was arrested for leaving 2 of her children in a hot car while she attended a job interview many were moved to pity by her teary-eyed mugshot above. At the time, her children were taken into care after she was charged with felony abuse. A lot of those people who defended her did not just talk online, a fund raising page for her was set up with over $100K in donations raised for her over the following weeks. Prosecutors also offered her a lenient plea deal which would allow her avoid jail. All she had to do was put $40,000 in a trust fund for her children along with other minor requirements. Less than 6 months later, it seems to be all smokes and mirrors as court officials have realized that Shanesha did not fulfil her side of the bargain. According to prosecutors Shanesha has failed to put the money in the trust fund by the specified deadline. Now Shanesha’s plea deal is off the table, her lawyers have quit and she is set to go to trial for the felony abuse trial. Reverend Jarrett Maupin, a local minister and former supporter of Shanesha, alleges that she has been offered jobs and simply never showed up. Preferring to enjoy her new found “wealth”. He accuses her of squandering the donated money on frivolous items such as “paying for studio time for her baby daddy’s rap album”, “designer clothes”, “family trips” and maybe even drugs. Meanwhile Shanesha Taylor is again calling on social media for people to come to her aid. She says she's broke and has been assigned a public defender as her trail comes up on December 10.